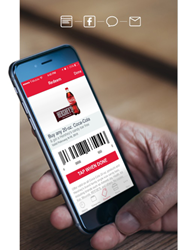 Based on the findings in this report, we believe that mobile offers in c-stores are one of the largest opportunities for brand marketers today. Today Koupon Media, the industry leader in delivering geo-targeted mobile offers, proved how mobile offers have changed the game with the release of its Mobile Offers & Convenience Stores market report. Over the past three years, Koupon Media has been powering mobile offers for over 10 of the top 25 largest convenience stores in the US. Last year in-store sales for convenience stores surpassed $200 billion, making it one of the fastest growing retail segments in the US.